It's funny how something can spark a memory, and a smile! A favorite toy, the bowl in which grandma made her special chocolate chip cookies that you loved so much. A vase that Mom used to put the flowers in that you picked when you were young; or maybe its just the quality and craftmenship of a time gone by! Whatever the case may be, let us spark that memory. 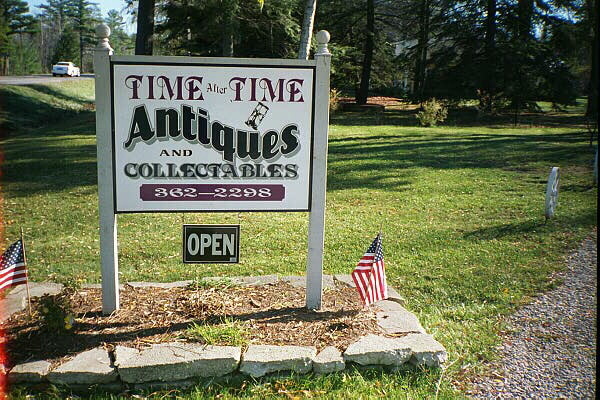 We carry a fine selection of Antiques and Collectables, such as; Glassware, Furniture, Jewelry, Clocks, Minitures, etc. Our stock is constantly changing, so stop by often to see what's new! We cherish you patronage!